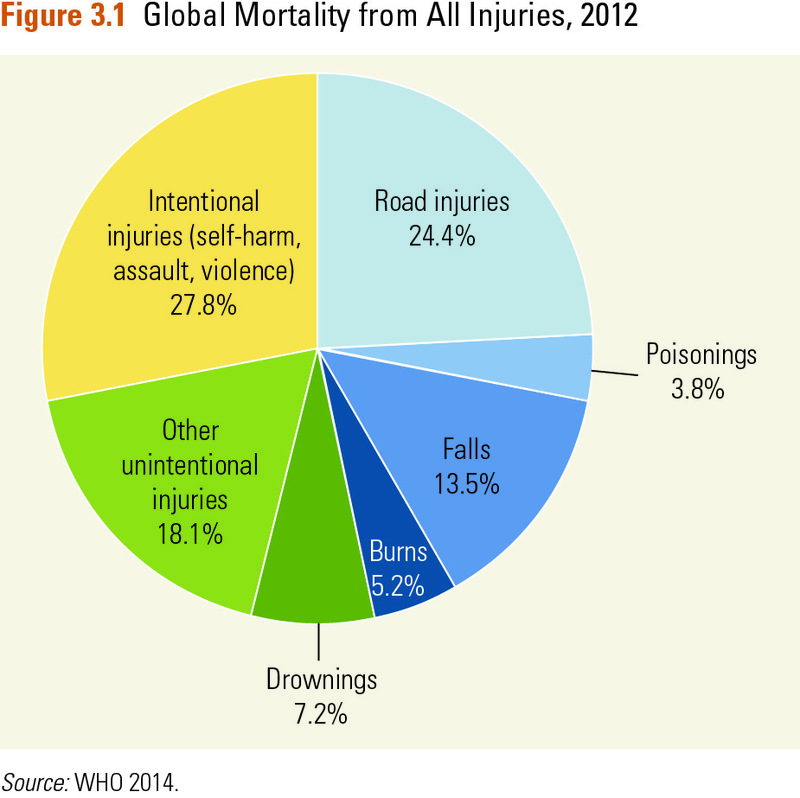 As many as 7.5 million deaths from injuries, occupational exposures, and environmental risks could be averted annually with better implementation of effective interventions and policies. 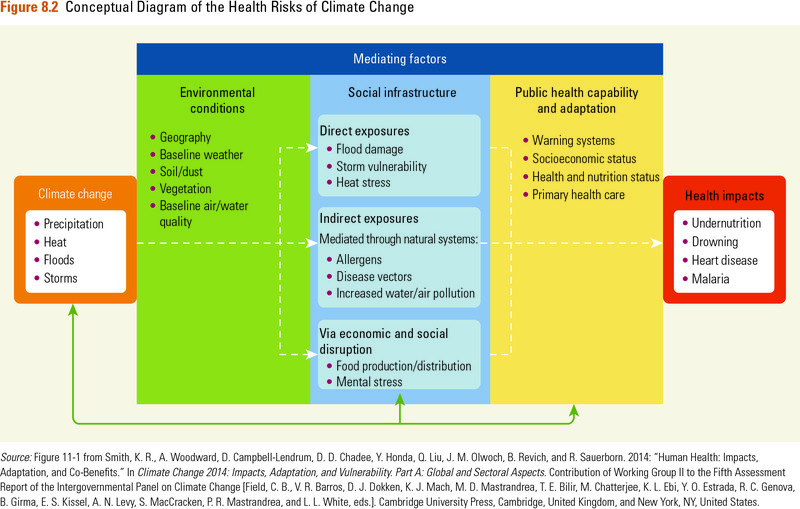 Patterns of injury- and environment-related risk evolve predictably with economic growth. Rapidly-developing low- and middle-income countries could avert a large burden of disease by pre-emptively implementing interventions such as the ones described in this volume. Several of the interventions included in the essential packages of interventions have beneficial effects for a variety of conditions. Implementation of most of the policy interventions included in the essential packages will require intersectoral collaboration and cooperation, including ministries responsible for finance, law enforcement, environment, planning, development, labor, and transportation. In 2012, estimated 842,000 global deaths were attributed to poor water supply, sanitation, and hygiene. These diseases have been shown to affect children’s nutrition, growth, and mental development. "This volume of Disease Control Priorities, provides an excellent evidence-based guide to policy makers on the approaches and rational choice of interventions to address this challenge. Many of the interventions included in the volume are among the most cost-effective interventions in public health and can make a substantial impact on reducing the health and socioeconomic burden due to injuries, particularly in LMICs. Yet, current progress is too slow. As highlighted in this volume and documented in the Global Status Report, implementation of the key public health measures is disappointingly low. Countries, particularly LMICs, need to do more." Volume citation: Mock, C.N., R. Nugent, O. Kobusingye, and K.R. Smith, editors. 2017. Injury Prevention and Environmental Health. Volume 7, Disease Control Priorities (third edition). Washington, DC: World Bank.